It is time for a quick, fun giveaway thanks to Romwe ! 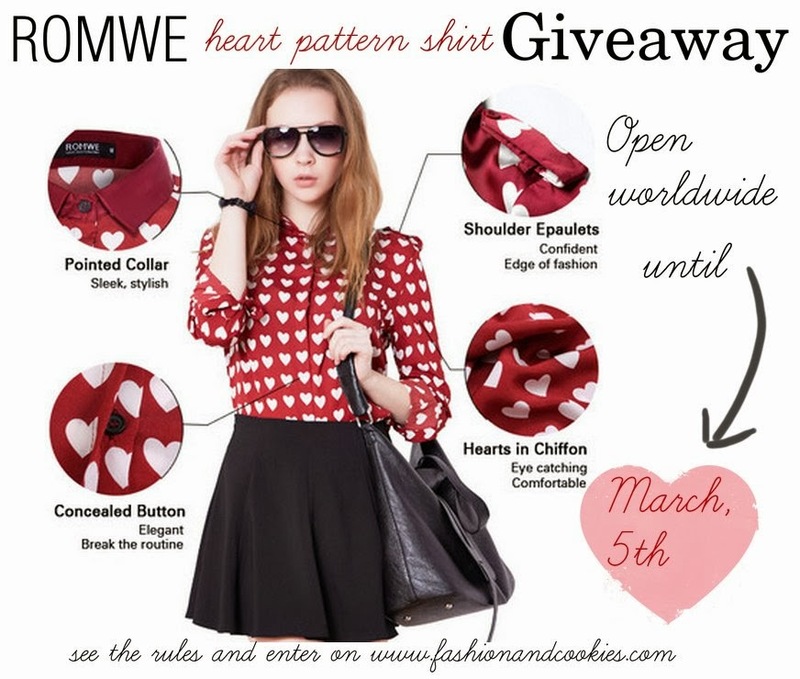 A lucky follower of this blog can win a burgundy heart pattern shirt like the one in the image above ! It's a Burberry inspired shirt, very trendy and cool. This Giveaway is open worldwide, until March 5th. Entering is easy, you have to fill in the Rafflecopter form you find at the end of this post. The winner will be selected randomly with Rafflecopter and announced on the blog and I will give out the name of the winner to Romwe so they can contact her and arrange the shipment of this super cute shirt ! Good luck everyone !. I have always been fascinated by the chance we have of dressing up according to how we feel. Everytime I pick my clothes and accessories, I can decide according to my mood and the possibilities are really infinite, after all fashion is a game !. Spring is around the corner, and I love browsing thru my favorite websites, looking for new things to shop for. Zalando is surely one of my favorite online shopping destinations and I have been inspired by its new arrivals, I was looking for a biker jacket and created these four sets with 4 ways to wear a motorcycle jacket, these jackets are so versatile that they get along with my continuous need for change !. I am ready to do some comfortable shopping directly from my home, possibly using coupon codes that offer a 10% discount like the ones I find at Magico Sconto, we all love discounts, don't we ?. Sono sempre stata affascinata dalla possibilità di vestirmi compatibilmente con il mio umore. Ogni volta che scelgo vestiti ed accessori, posso decidere di cambiare stile e di essere chi voglio. Le possibilità sono davvero infinite, dopotutto la moda è un gioco. La Primavera è dietro l'angolo e adoro sbirciare sui miei siti preferiti, alla ricerca di acquisti da fare online. Zalando, che è sicuramente una delle mie destinazioni preferite quando si tratta di sfogare i miei istinti da shopaholic, offre una serie di novità molto interessanti. Stavo curiosando, alla ricerca di una bella giacca da biker ed ho preso spunto per creare quattro outfit diversi, 4 modi diversi di indossare una giacca da motociclista: un capo molto versatile che ben si accorda al mio stile mutevole !. Sono pronta a fare un po' di sano shopping direttamente e comodamente da casa ! Oltretutto, approfitterò dello sconto del 10% su tutto il catalogo Zalando offerto da Magico Sconto, valido fino al 28 febbraio, un'occasione da non perdere, è meglio affrettarsi !. 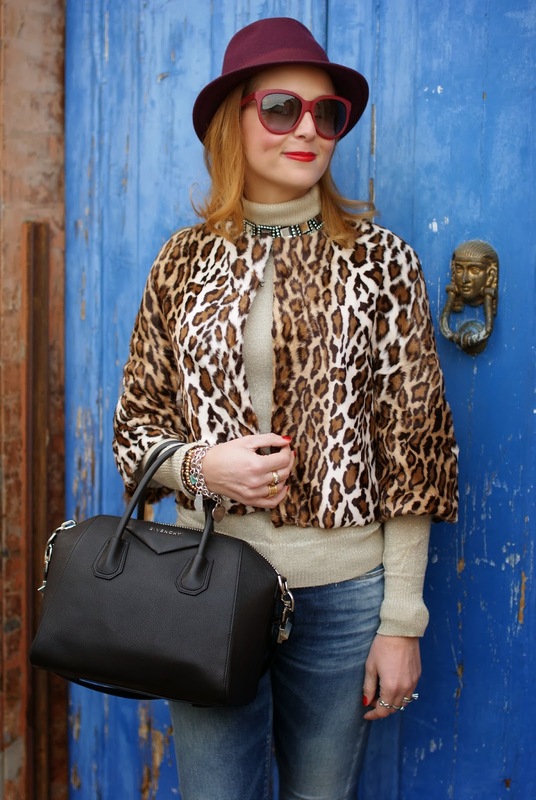 I have a true passion for statement necklaces, and readers of this blog know that. I wear a statement piece of jewelry in almost each on my outfits...Colorful, eye catching, bulky, I love necklaces and I consider them as a key accessory that can give a special touch to any look, both elegant or casual. I like them and I keep buying them. Where ? 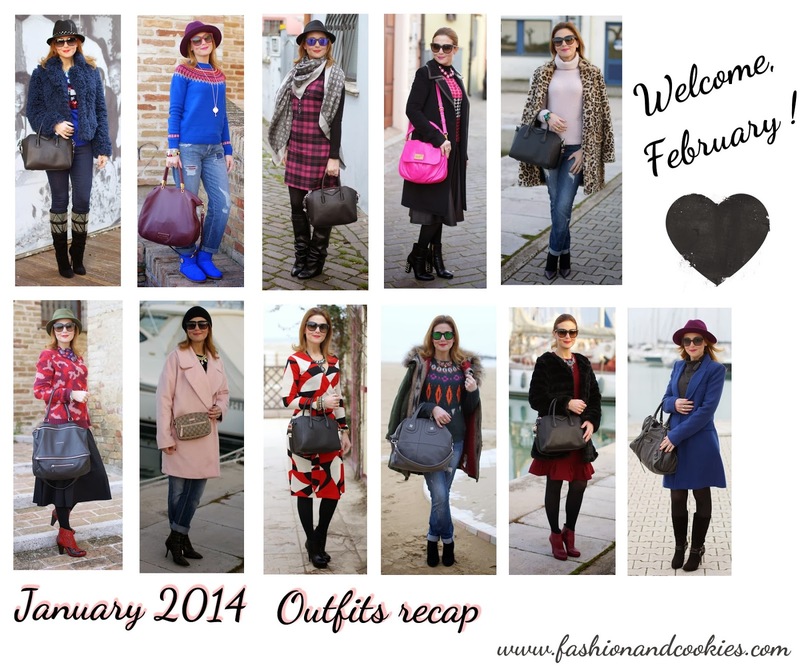 A bit everywhere, from online webshops to Zara or Stradivarius, or simply in local shops. Expensive or cheap, they all have a thing in common: they have to be beautiful and outrageously extreme !. 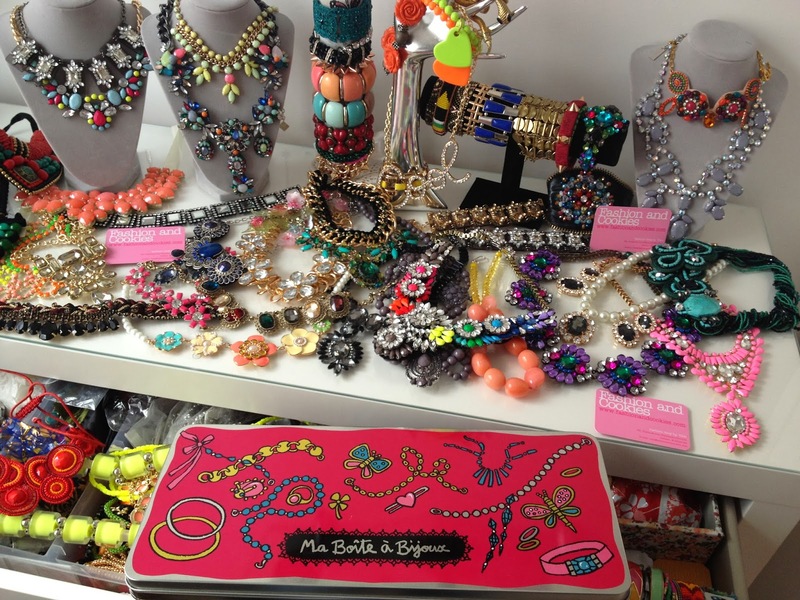 I have so many boxes and even drawers filled with chains, rhinestones, my statement necklace obsession makes it very hard to find the one I want when I need it. The art of organizing our jewelry should be classified as olympic sport, don't you agree with me ?. Ho una vera passione per le cosiddette "statement necklaces", ed i lettori di questo blog lo sanno bene. Porto una collana vistosa in quasi ognuno dei miei outfit...colorate, vistose, eccessive, amo le collane e le considero un accessorio chiave per dare un tocco speciale ad ogni tipo di look, sia elegante che casual. Mi piacciono, e continuo a comprarne. Dove ? Un po' ovunque, sia online che da Zara o Stradivarius, o semplicemente in negozietti della zona. Che siano costose o economiche, hanno tutte una cosa in comune: devono essere belle e sfacciatamente eccessive !. Ho tante scatole e anche cassetti traboccanti di catene, pietre luccicanti, e la mia ossessione per le collane vistose rende sempre più difficile per me ritrovare la collana che mi serve al momento giusto. L'arte di organizzare i nostri bijoux dovrebbe essere classificata come sport olimpico, non credete ?. The rain is falling down no stop, outside, and it's a perfect time to dream about Spring and therefore planning new purchases. I spent quite a long time without posting my "Cookie Jar" column with my personal wishlist, and here we go now !. Is there anything you see here that you would love to have ?. Check out my fashion cravings and let me know !. La pioggia cade senza sosta ed è il momento perfetto per sognare la Primavera e per pianificare i prossimi acquisti. Era un bel po' che non pubblicavo la mia rubrica "The Cookie Jar", la "biscottiera" che custodisce una mia personale wishlist, ed eccola, dunque !. 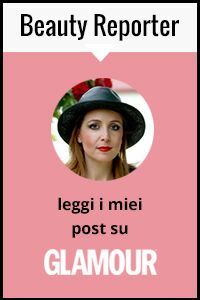 C'è qualcosa che vi piacerebbe avere della mia selezione ? Date un'occhiata ai miei desideri del momento e fatemi sapere !. Valentine's day is almost here, and to celebrate it the best way we have a brand new Giveaway, thanks to Ashley Schenkein, an amazing young and talented jewelry designer, and our good friends at SLATE DESIGN. 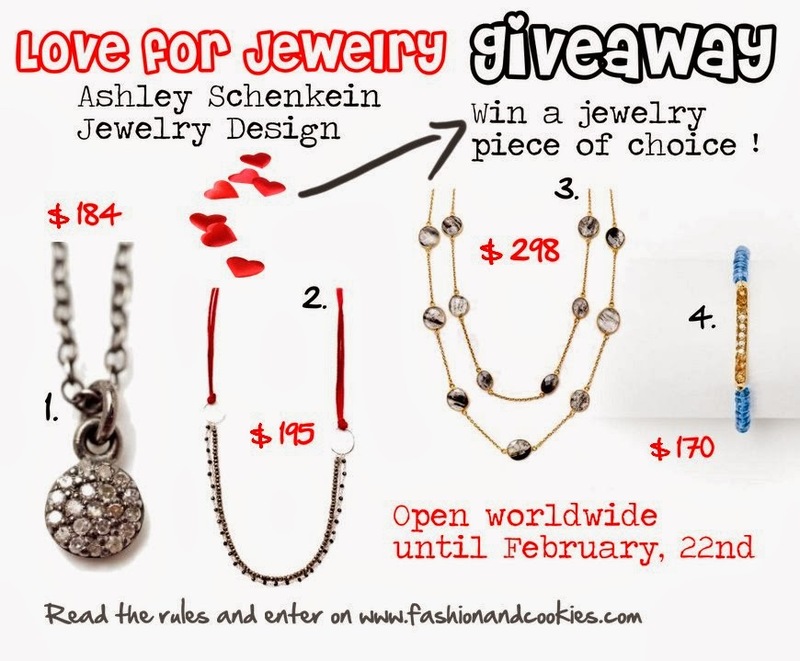 With this worldwide Giveaway, open now until February 22nd, a lucky follower of Fashion and Cookies can pick up a jewelry of choice among the four ones you see above, the single value of each prize goes from $170 to $298. This is a great chance to get yourself something sparkly and nice, Ashley's creations are really statement pieces that you can wear daily, they are chic and edgy without being "too much" and they are timeless pieces, I suggest you to pay a visit to her amazing website www.asjewelrydesign.com and see them all !. To enter this Giveaway you have to fill down the Rafflecopter form you find at the end of this post and follow the rules.